Andrew: A friend of mine asked for these in New York to impress a waitress. It didn’t work! Dawn: Probably because she has heard every British tourist do the same thing! So, how do we do these then. Dawn: Butter? Isn’t this going to be very high in fat? Dawn: … does you good! I know the drill. Place your non-stick frying pan over a hot flame. Add a cube of butter. Allow to bubble. Crack your egg carefully, and pour into the butter, keeping the yolk whole. 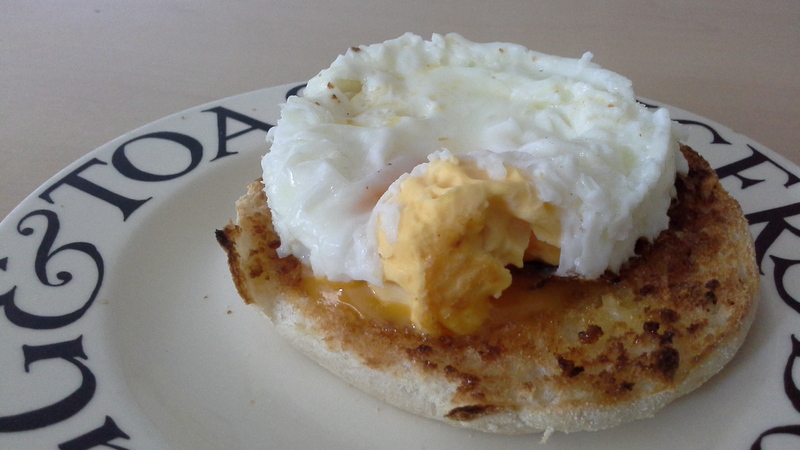 Ensuring the pan is hot enough will give a nice shape to the egg. After a couple of minutes, slide a spatula under the egg to make sure it isn’t sticking, then tilt the pan and allow the egg to slide onto the spatula. Carefully flip the egg over. 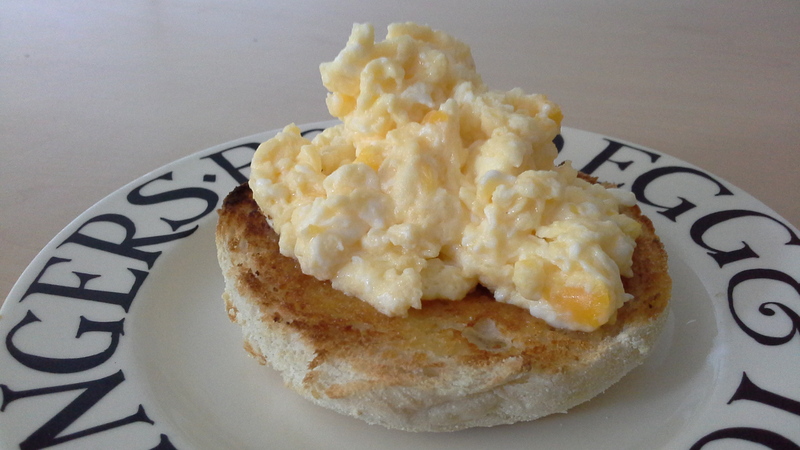 Allow to cook for a further 15-20 seconds, then tilt the pan again, allow the egg to slide back onto the spatula. Carefully flip over onto your warmed plate and serve. Andrew: Perfect with grilled bacon! For more great recipe ideas keep following us at http://www.forfoodlovers.wordpress.com and on our Twitter feed @Love_Food_UK. Please like us on Facebook too. The classic breakfast fry-up with a twist! Dawn: OOH! I like the sound of that. Andrew: This began life as a late night snack. Use a cooking ring to shape a circle out of your bread. Heat a little oil in a frying pan. 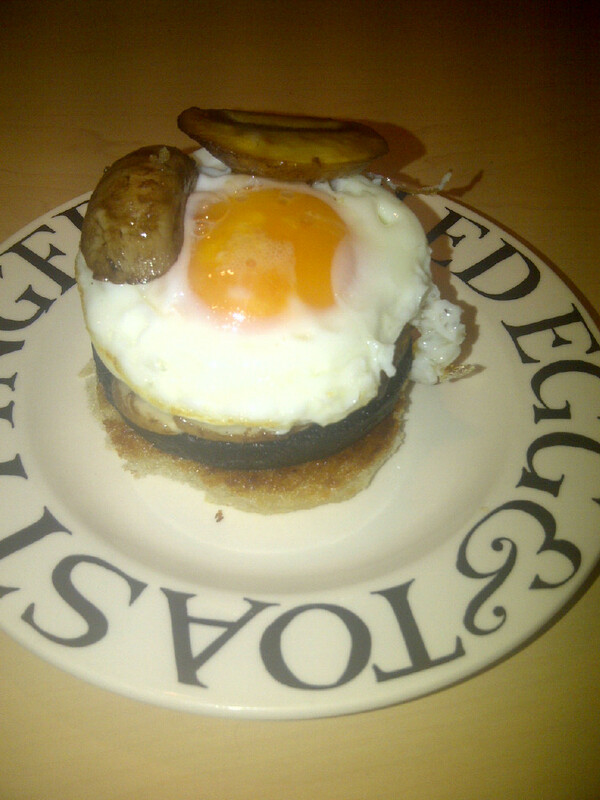 Fry the black pudding for about 6 minutes turning half way through. Meanwhile fry the bread on both sides. 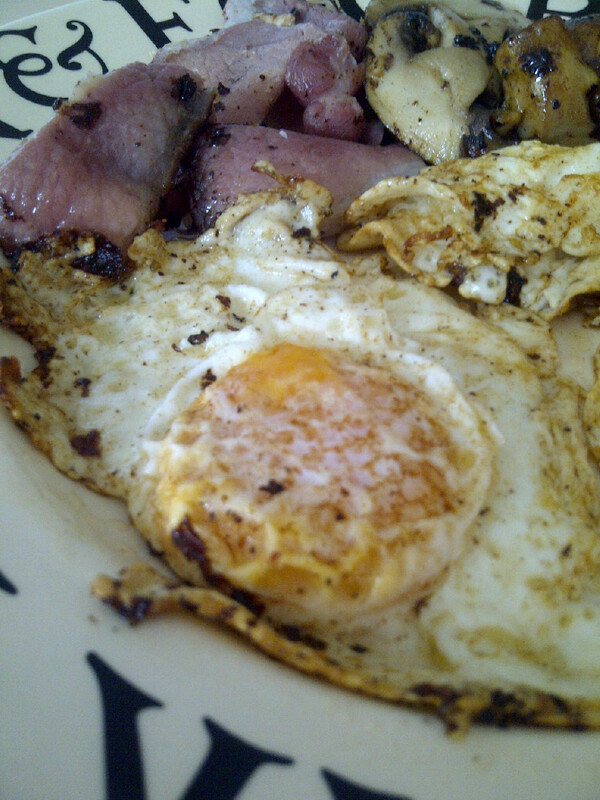 As you turn the black pudding, place the cooking ring in the pan, crack the egg and pour in carefully. Fry until the white is cooked through. Fry the mushrooms in the same pan. 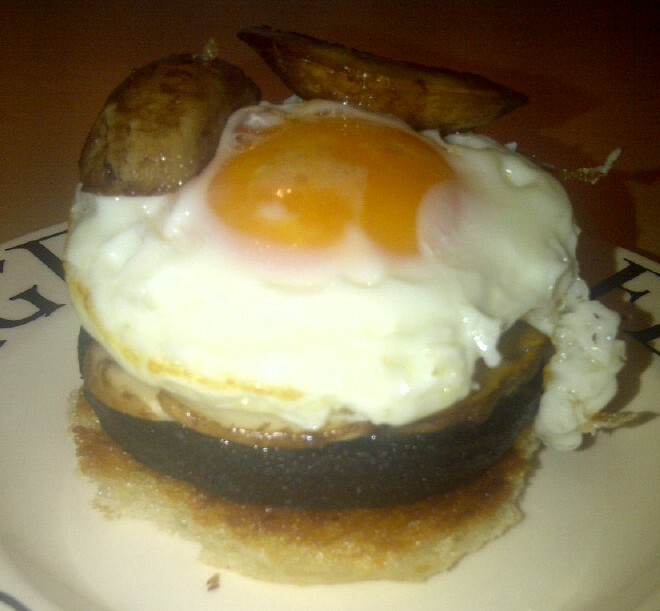 To assemble the dish, place the fried bread on the plate, top with the black pudding, then the 4 slices from the middle of the mushroom with the stalks facing inwards, then the egg and the mushroom ends. Serve with a big dollop of tomato ketchup. Dawn: Delicious any time of day! Andrew: Could be breakfast in the morning! Remember for daily recipes along with food tips follow https://forfoodlovers.wordpress.com and the Twitter feed @Love_Food_UK.